Restaurant is Open from 9am for breakfast though till dinner until 9:30pm. Bar is open from 9am until 11pm Sunday to Thursday and 12pm Friday and Saturday. Make sure you sign up for email updates to discover the latest Specials, Promotions and Events. Disappointed they had sold out of mussels! Not to worry though as everything we had was delicious! We came in after a day at the beach and felt very welcomed. Staff were very friendly. Atmosphere was excellent and great music in the background. We will definitely be returning when we are next in the area. Good value menu and friendly service. Great for a family. Attentive and helpful. Lovely all round - will be back! 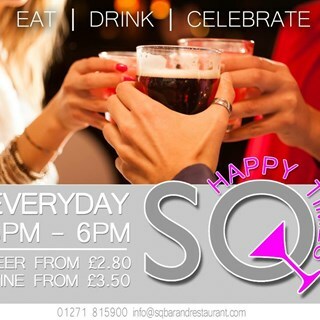 SQ were hosts to my husbands 70th birthday. They catered magnificently to 29 guests, (all guests made individual choices for starters and main courses). The service was exceptional, and to deliver 29 meals all at once was incredible. Well done the chefs and waiting staff. Nothing was too much trouble, all our guests commented on the great quality of the food, ambience and staff. 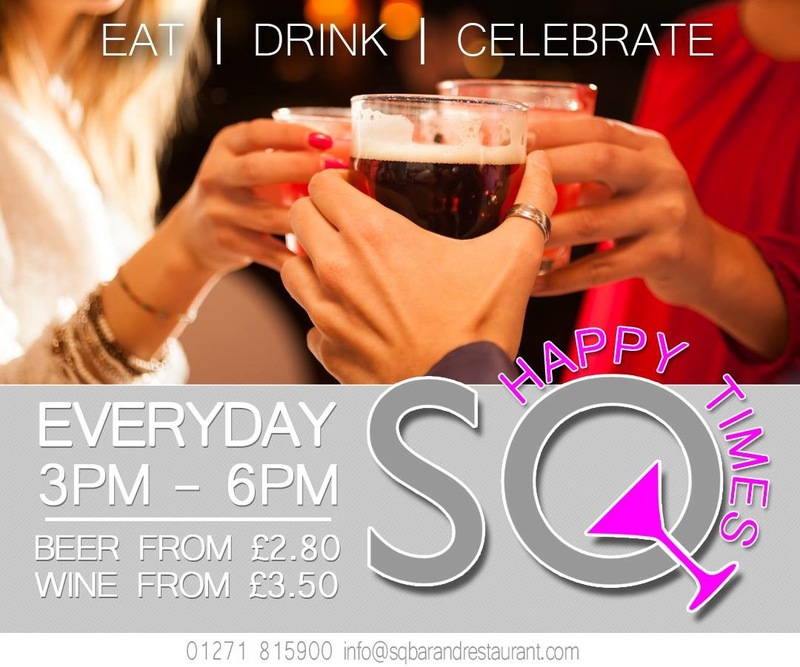 I would really recommend SQ for any large events, be it a wedding, family gathering, wake, hen party  or just a group of friends wanting a great night out. Fantastic SQ - guess what -  we will be back. Always a very attentive, efficient and friendly service. Very good service, great food, friendly staff, family friendly, great atmosphere what more could you want, I would recommend without hesitation!! The starters was very good but wouldn’t come for a Sunday roast again. Vegetables was very hard to bit into. Not much gravy. We had an amazing night at sq. The food, service and atmosphere were excellent as always we will be back again soon! Very good food and good value for money! We had a private function, and the service we received was exemplary. From initial booking and discussion of our needs, the service from Olly and his fabulous team was second to none. The food was well made, well presented and served efficiently, with everyone in our party commenting on how good it was. Thank you all for making it all so special. Owners are really friendly. Food is brilliant. Service is great. Perfect in every area required for a wonderful evening.